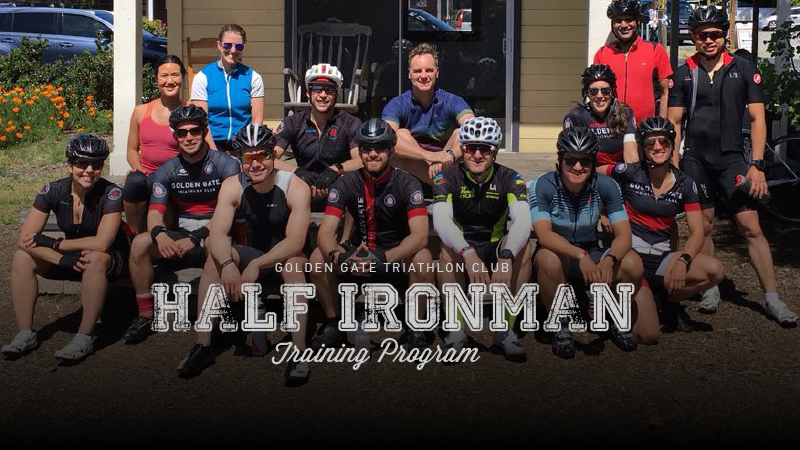 Welcome to GGTC’s Half Ironman Distance training program! This training program will target Ironman 70.3 Santa Rosa taking place on Saturday, July 27. It will also be suitable for those training for July and August Half Ironman distance races. This program is designed specifically to match your level of fitness and ability. We’re looking for people ready to take on a great journey to complete the IRONMAN 70.3 (also called Half IRONMAN) distance. Racers will swim 1.2 miles, bike 56 miles, and run 13.1 miles. We are incredibly excited to announce Cesar Valera as our HIT coach! After almost two decades experience as an elite triathlete and cyclist, Cesar has learned how to be competitive at the elite level and what it takes to reach your potential as an athlete. He has more than ten years experience of coaching triathletes, runners, and cyclists of all levels. Self-motivated individuals that want to take on the challenge of triathlon training! Both first time triathletes and those who've competed before and want to train in a group are welcome. Do you offer Full 140.6 IRONMAN Training? We've found over the years that a focused 70.3 Half Ironman Program has the most demand amongst members. We do have recommendations for coaches if you're looking for full IRONMAN coaches and coaching programs. Contact us and we'll get you those recommendations. When will I be working out? The group meets 2-3 times per week leading up to race day for a combination of swimming, biking, and running workouts. The majority of workouts will take place in San Francisco with bike rides taking place all around the Bay Area. What happens if I can’t make it to all the workouts? It would be great if we had enough time in the day to do everything we want but sometimes we have to pick a priority. Rarely does any triathlete make 100% of the workouts, and that's okay. With the help of your coaches, you can train as little as 8 hours a week and feel confident you can complete the race. No, competing in the designated triathlon is optional. You can certainly train with the group and not race or race in another triathlon. It’s totally up to you! You will need a bicycle and helmet, running shoes, swimsuit, goggles, and a wetsuit. If you don't have these things yet, don't worry! We will cover the basics of triathlon equipment in the beginning of the training program. There are no refunds given for GGTC training programs. If you find you have any issues attending the trainings, contact us through the email below. How do I register if I’m not a member yet? You’ll first need to purchase GGTC Annual Membership here. Then you can register for HIT!  New Members: Purchase your GGTC membership here in order to register. and the coach to see if it’s for you! Come meet other GGTC Members! Be sure to add Golden Gate Triathlon Club to your profile to include your performance in our Tri Club results at the race!